Hamil, Harrison & Co. LLC opened our doors in 1955 to provide the Ennis community with quality heating and air repairs, installation, and maintenance. Today, James Davis, Scott Payne, and Mike Harrison own and manage the company, which includes a team of technicians and office staff. As homeowners with families ourselves, we recognize how disruptive a heating and air problem can be, so we offer the security of licensed and insured employees, constant updating of skills, and training in new and dependable systems for your home or business. All of our employees regularly attend training classes to stay current within our field of work. Whether you're in need of HVAC equipment repairs or ventilation work, we can get the job done. From small repairs to full installations, Hamil, Harrison & Co. LLC has the knowledge and tools necessary to get the job done at a price you can afford. Call us today for more information! 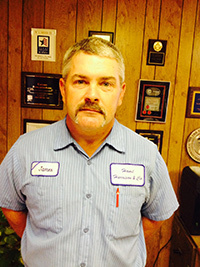 James Davis leads the shop and oversees the scheduling and maintenance in a timely manner that meets the needs of our customers. 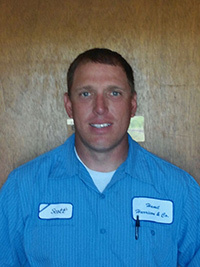 Scott Payne is a technician and our lead installer. He does his job with confidence and pride as he works with the customer to insure their satisfaction.